Ester-C� Plus is exclusively formulated by Solgar� and provides a patented, pH neutral (non acidic) Vitamin C that is gentle on the stomach. The Vitamin C metabolites in Ester-C� positively impact the uptake and retention of Vitamin C in cells, providing additional benefits. A special manufacturing process is employed to form a unique calcium ascorbate metabolite complex. This well-retained complex further incorporates natural bioflavonoids and acerola berry along with rose hips fruit powder yielding beneficial antioxidant support and active immune system support. Vitamin C is an essential, water-soluble vitamin which must be obtained through diet or supplementation. It is one of the most�potent antioxidant nutrients and plays an essential role in the functioning of white blood cells, which are vital components of the immune system. Additionally, it aids in collagen (connective tissue) formation, which is important for healthy nails, skin, hair, and joints. Vitamin C promotes respiratory and circulatory health and is beneficial for healthy gums. This formulation provides pure Vitamin C along with Rose Hips fruit. Ester-C� Plus is exclusively formulated by Solgar� and provides a patented, pH neutral (non acidic) Vitamin C that is gentle on the stomach. The Vitamin C metabolites in Ester-C� positively impact the uptake and retention of Vitamin C in cells, providing additional benefits. A special manufacturing process is employed to form a unique calcium ascorbate metabolite complex. This well-retained complex further incorporates natural bioflavonoids and acerola berry along with rose hips fruit powder yielding beneficial antioxidant support and active immune system support. Vitamin C is a water-soluble vitamin that helps fight free radicals, which can lead to oxidative stress and the premature aging of cells. One of its primary functions is collagen formation, which is important for healthy nails, skin, hair, and joints. Vitamin C also plays an essential role in the functioning of white blood cells, which are vital components of the immune system. It helps to promote cardiovascular and respiratory health, and is beneficial for healthy gums. Vitamin C also helps regenerate Vitamin E, allowing Vitamin E�s antioxidant properties to be maintained. Vitamin C is a water-soluble vitamin that helps fight free radicals, which can lead to oxidative stress and the premature aging of cells. One of its primary functions is collagen formation, which is important for healthy nails, skin, hair, and joints. Vitamin C also plays an essential role in the functioning of white blood cells, which are vital components of the immune system. It helps to promote cardiovascular and respiratory health, and is beneficial for healthy gums. Vitamin C also helps regenerate Vitamin E, allowing Vitamin E�s antioxidant properties to be maintained. Vitamin C is a water-soluble vitamin that helps fight free radicals, which can lead to oxidative stress and the premature aging of cells. One of its primary functions is collagen formation, which is important for healthy nails, skin, hair, and joints. Vitamin C also plays an essential role in the functioning of white blood cells, which are vital components of the immune system. It helps to promote cardiovascular and respiratory health, and is beneficial for healthy gums. Vitamin C also helps regenerate Vitamin E, allowing Vitamin E�s antioxidant properties to be maintained. Solgar�s Vitamin C Crystals provide pure, 100% Vitamin C in a convenient dosage form. Vitamin C is a water-soluble nutrient with revered antioxidant and immune supportive properties. In addition to helping to fight cell-damaging free radicals, it also promotes collagen (connective tissue) formation, which is important for healthy nails, skin, hair, and joints. Vitamin C supports respiratory and immune system health, promotes blood vessel integrity, enhances healthy blood flow and is beneficial for healthy gums. It helps regenerate Vitamin E, allowing Vitamin E�s antioxidant properties to be maintained. Ester-C� Plus is exclusively formulated by Solgar� and provides a patented, pH neutral (non acidic) Vitamin C that is gentle on the stomach. The Vitamin C metabolites in Ester-C� positively impact the uptake and retention of Vitamin C in cells, providing additional benefits. A special manufacturing process is employed to form a unique calcium ascorbate metabolite complex. This well-retained complex further incorporates natural bioflavonoids and acerola berry along with rose hips fruit powder yielding beneficial antioxidant support and active immune system support. Vitamin C is a water-soluble vitamin that helps fight free radicals, which can lead to oxidative stress and the premature aging of cells. One of its primary functions is collagen formation, which is important for healthy nails, skin, hair, and joints. Vitamin C also plays an essential role in the functioning of white blood cells, which are vital components of the immune system. It helps to promote cardiovascular and respiratory health, and is beneficial for healthy gums. Vitamin C also helps regenerate Vitamin E, allowing Vitamin E�s antioxidant properties to be maintained. Supports Overall Wellness* Bluebonnet�s Vitamin C 500 mg Vcaps provide vitamin C from pure L-ascorbic acid in easy-to-swallow vegetable capsules for maximum assimilation and absorption. Vitamin C is well-known for its superior antioxidant power and is one of the leading vitamins for immune support. Vitamin C is involved in collagen formation, which Vitamin C is well-known for its superior antioxidant power and is the leading vitamin for immune support. Vitamin C is involved in collagen formation, which is important for healthy nails, skin and hair. Vitamin C is well-known for its superior antioxidant power and is one of the leading vitamins for immune support. Vitamin C is involved in collagen formation, which Vitamin C is well-known for its superior antioxidant power and is the leading vitamin for immune support. Vitamin C is involved in collagen formation, which is important for healthy nails, skin and hair. Red Yeast Rice has been a part of the traditional Chinese diet for centuries and is the by-product of the fermentation of cooked rice combined withMonascus purpureus�yeast. Ester-C� Plus is exclusively formulated by Solgar� and provides a patented, pH neutral (non acidic) Vitamin C that is gentle on the stomach. The Vitamin C metabolites in Ester-C� positively impact the uptake and retention of Vitamin C in cells, providing additional benefits. A special manufacturing process is employed to form a unique calcium ascorbate metabolite complex. This well-retained complex further incorporates natural bioflavonoids and acerola berry along with rose hips fruit powder yielding beneficial antioxidant support and active immune system support. 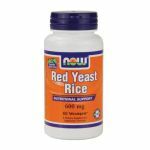 Red Yeast Rice is a unique natural product that's been used in Asian traditional medical systems since approximately 800 A.D. Produced by fermenting red yeast (Monascus purpureus) with white rice, Red Yeast Rice is commonly used in cooking applications to enhance the color and flavor of foods. Peking Duck is an example of the coloration and flavor imparted by Red Yeast Rice. NOW Red Yeast Rice is carefully produced to avoid the presence of citrinin, a sometimes toxic by-product of the fermentation process. Vitamin C is a water-soluble vitamin that helps fight free radicals, which can lead to oxidative stress and the premature aging of cells. One of its primary functions is collagen formation, which is important for healthy nails, skin, hair, and joints. Vitamin C also plays an essential role in the functioning of white blood cells, which are vital components of the immune system. It helps to promote cardiovascular and respiratory health, and is beneficial for healthy gums. Vitamin C also helps regenerate Vitamin E, allowing Vitamin E�s antioxidant properties to be maintained. Bluebonnet�s C-500 mg Plus Bioflavonoids Caplets provide 500 mg of vitamin C from pure L-ascorbic acid, 50 mg of rutin and 250 mg of citrus bioflavonoids, including hesperidin, from fresh oranges, lemons, tangerines, grapefruits and limes. Available in easy-to-swallow caplets for maximum assimilation and absorption. Bluebonnet�s Vitamin C Crystals provide 4500 mg of pure, easy-to-mix crystalline L-ascorbic acid per teaspoon. Vitamin C is a water-soluble vitamin that helps fight free radicals, which can lead to oxidative stress and the premature aging of cells. One of its primary functions is collagen formation, which is important for healthy nails, skin, hair, and joints. Vitamin C also plays an essential role in the functioning of white blood cells, which are vital components of the immune system. It helps to promote cardiovascular and respiratory health, and is beneficial for healthy gums. Vitamin C also helps regenerate Vitamin E, allowing Vitamin E�s antioxidant properties to be maintained. Bluebonnet�s EarthSweet� Chewable Vitamin C-500 mg Tablets provides vitamin C from L-ascorbic acid and sodium ascorbate and is deliciously sweetened with the industry�s first all-natural orange flavored antioxidant sweetener, EarthSweet�. Available in a delicious chewable form for maximum assimilation and absorption. Bluebonnet�s Vitamin C 1000 mg Vcaps provide vitamin C from pure L-ascorbic acid in easy-to-swallow vegetable capsules for maximum assimilation and absorption. Bluebonnet�s Vitamin C-500 mg Plus Rose Hips Vcaps provide vitamin C from pure L-ascorbic acid, rose hips and bioflavonoids from all natural citrus fruits in easy-to-swallow vegetable capsules for maximum assimilation and absorption. Bluebonnet�s Magnesium 400 mg Vcaps provide magnesium from a chelate of magnesium aspartate. Available easy-to-swallow vegetable capsules for maximum assimilation and absorption. Vitamin C is an essential, water-soluble vitamin which must be obtained through diet or supplementation. It is one of the most�potent antioxidant nutrients and plays an essential role in the functioning of white blood cells, which are vital components of the immune system. Additionally, it aids in collagen (connective tissue) formation, which is important for healthy nails, skin, hair, and joints. Vitamin C promotes respiratory and circulatory health and is beneficial for healthy gums. This formulation provides pure Vitamin C along with Rose Hips fruit. Ester-C� Plus is exclusively formulated by Solgar� and provides a patented, pH neutral (non acidic) Vitamin C that is gentle on the stomach. The Vitamin C metabolites in Ester-C� positively impact the uptake and retention of Vitamin C in cells, providing additional benefits. A special manufacturing process is employed to form a unique calcium ascorbate metabolite complex. This well-retained complex further incorporates natural bioflavonoids and acerola berry along with rose hips fruit powder yielding beneficial antioxidant support and active immune system support. Bluebonnet�s Buffered Vitamin C-500 mg Vcaps provide vitamin C from calcium ascorbate and bioflavonoids from all natural citrus fruits in easy-to-swallow vegetable capsule for maximum assimilation and absorption. Get answers from an expert. 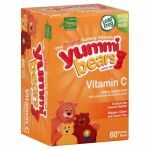 For product information please contact our nutritionists at Sundrops.com.